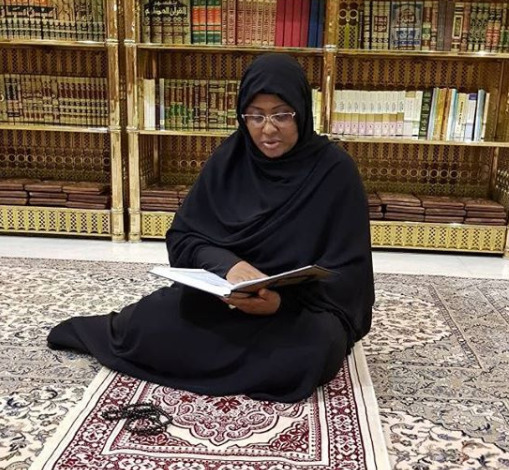 Wife of President Buhari, Aisha Buhari, shared this photo of herself praying at the Prophet Moh’d (PBUH) mosque in Saudi Arabia. "at the Prophet Moh’d (PBUH) mosque in Madinatul Munawwara, prayed for Peace, Unity and Progress of Our Dear Country Nigeria. May God accept our prayers. Ameen."